GMA Network maintained its nationwide ratings advantage based on the latest data from the industry’s widely trusted ratings service provider Nielsen TV Audience Measurement. 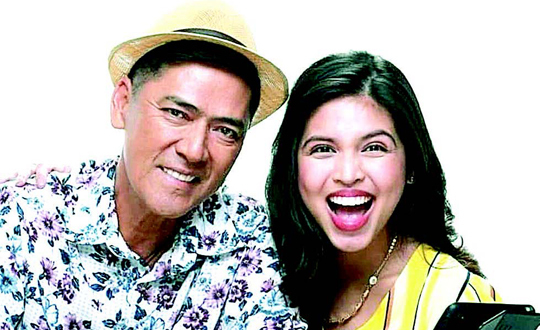 Sitcom 'Daddy's Gurl,' topbilled by Vic Sotto and Maine Mendoza, is one of the top-rating shows of GMA for the month of November. For the month of November (Nov. 25 to 30 based on overnight data), GMA posted an average total day people audience share of 38.6 percent in the National Urban Television Audience Measurement (NUTAM), which surpassed ABS-CBN’s 37.5 percent. In the morning block, the network registered 36.1 percent people audience share as against rival’s 32.1 percent. It also led in the afternoon block with 40.2 percent people audience share, beating ABS-CBN’s 37.2 percent. GMA likewise dominated the viewer-rich areas of Urban Luzon and Mega Manila, which respectively account for 72 and 59 percent of all urban viewers in the country. It posted an average total day people audience share of 44.1 percent in Urban Luzon, while ABS-CBN only managed to get 30.8 percent. In Mega Manila, based on official data from Nov. 1 to 24, the Network posted an average total day people audience share of 45.3 percent, which topped competition’s 28.5 percent. Kapuso shows similarly ruled Nielsen’s NUTAM list of top-rating programs for November with Kapuso Mo, Jessica Soho still reigning as the most watched Kapuso program nationwide followed by Pepito Manaloto, 24 Oras, Daddy’s Gurl, Daig Kayo ng Lola Ko, and Onanay. Included in the list as well were Magpakailanman, newly-launched primetime series Cain at Abel, Studio 7, Victor Magtanggol, Amazing Earth, 24 Oras Weekend, Wowowin, Pamilya Roces, Eat Bulaga, and Kapag Nahati Ang Puso. GMA also dominated both the Urban Luzon and Mega Manila lists, taking 23 and 25 spots out of the top 30 programs, respectively. Nielsen data is gathered through a greater number of sampled homes nationwide in comparison to Kantar Media. With approximately 900 more homes surveyed in Total Urban and Rural Philippines compared to Kantar, Nielsen data is statistically considered more representative of the total TV population. In 2018, Nielsen TV Audience Measurement’s client pool covers a total of 34 clients/subscribers consisting of 8 local TV networks including ABS-CBN, TV5, Aksyon TV, CNN Philippines, and Viva Communications Inc., among others; 3 regional clients; 2 blocktimers; and 21 agencies (17 media agencies, 3 consulting agencies, 1 digital agency).